Helllloooo Spring! Yay for warmth in Manhattan. I love April—summer is just a hop, skip and a jump away and everything is blossoming in NYC. This recipe is so perfect-o for spring and it’s been one of my favorite ways to enjoy a satisfying meal without any grains or beans! 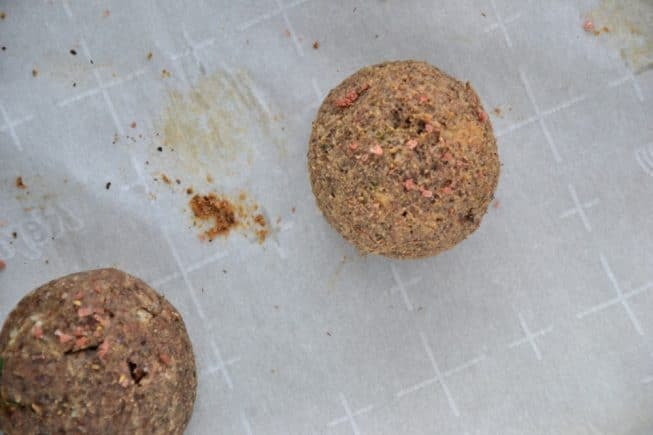 Many of my clients can’t digest grains and beans so this is a simple way to allow them to reap the benefits of a ball packed with fiber, protein and nutrients. 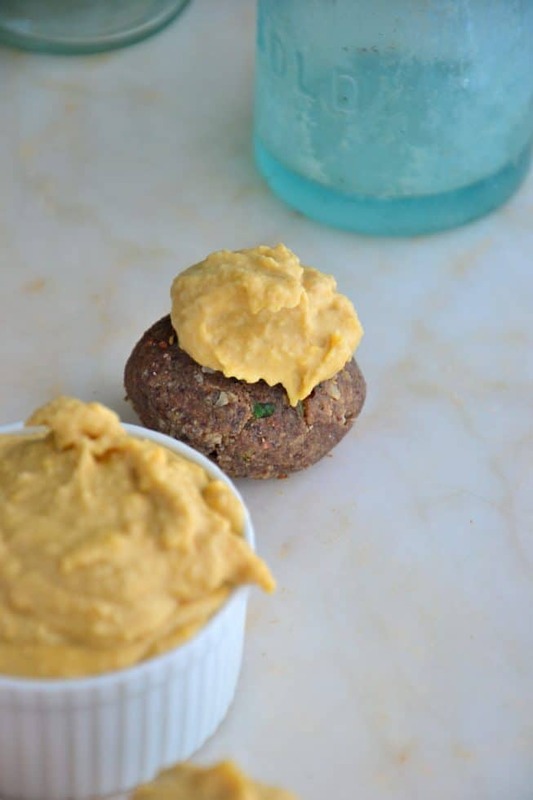 I created this recipe a few years ago when I spent a YEAR eating out of a food processor with C-Diff Colitis and I’ve been making it for myself and my clients for awhile now. Recently, I made this recipe for my parents when I was visiting them and my father was obsessed with these, which is why I decided to share them with you…because, well…if an Italian man like Tony Valpone likes these, then I’m 100% sure you are going to LOVE them too! Thanks for the positive feedback, TVal. So, let’s chat about these balls of fun and how you’re going to want to make them again and again. 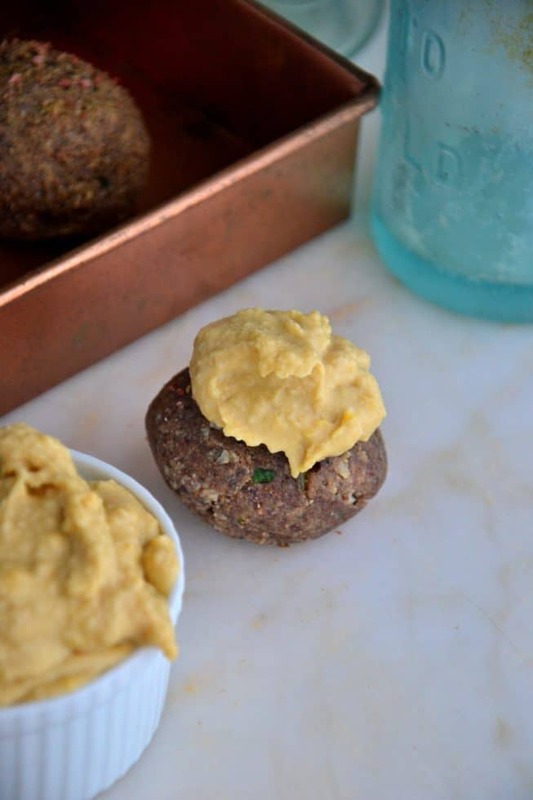 They are so soft and tender and they’re my version of a meatball without any meat. 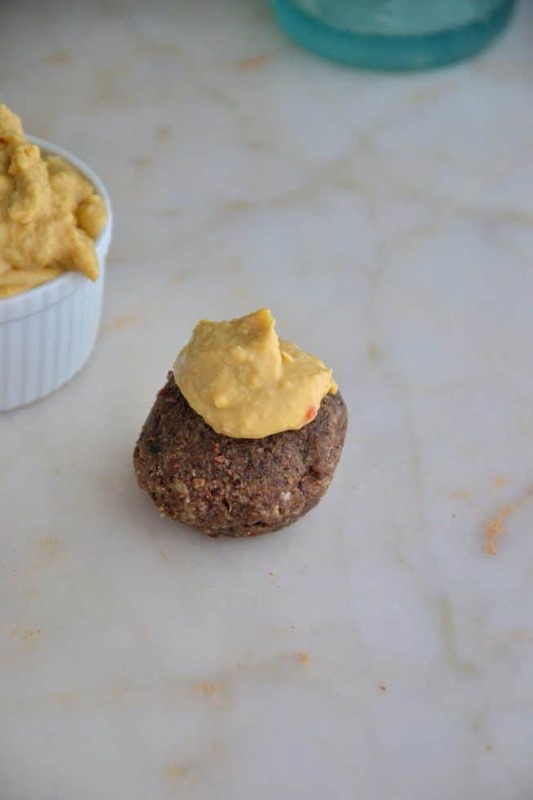 I thought about making this recipe into a burger but these balls were just too cute and way too much fun to make and dip into hummus. 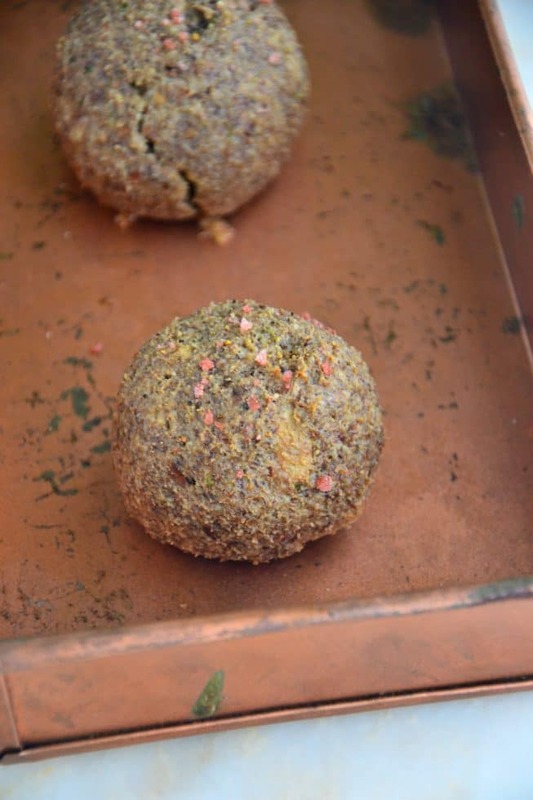 You can serve these falafel for lunch or dinner (heck- you can even serve them for a brunch) and I suggest serving them with hummus. 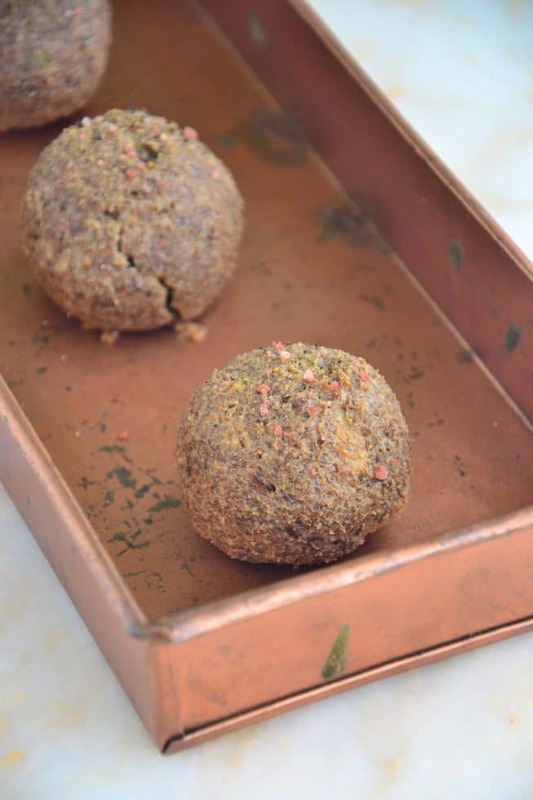 They’re hearty and so full of flavor, plus they’re filling so you’ll be satisfied after a few falafel and since they are packed with protein, healthy fats and fiber they’ll keep your blood sugar stable so you’re not reaching for the bag of chips or chocolate later on. The key to keeping your blood sugar stable is to eat quality protein and fat with EVERY carb that you eat. So, every vegetable, cracker, piece of bread, pasta, etc—ANY carb must be paired with a healthy fat and a protein because that is what will help stabilize your blood sugar and keep you feeling fabulous without getting light headed and wanting to dive into a pile of stale Halloween candy an hour later. I know you’ve been there right. When I had PCOS, I was insulin resistant and it was a nightmare. I’d eat a meal and 5 minutes later I’d be STARVING again and craving sugar. Boy o’ boy am I glad those days are long gone. Whew, sugar cravings and an imbalanced blood sugar are what lead to weight-gain and inflammation in your body so it’s important to eat high quality fats and proteins when you are nibbling. Now that you know that little tidbit of info, you’re all set to make these balls of fun. You’re educated and hungry now. I’m honest–if my 100% Italian father digs this recipe, you’re going to want to make them asap. 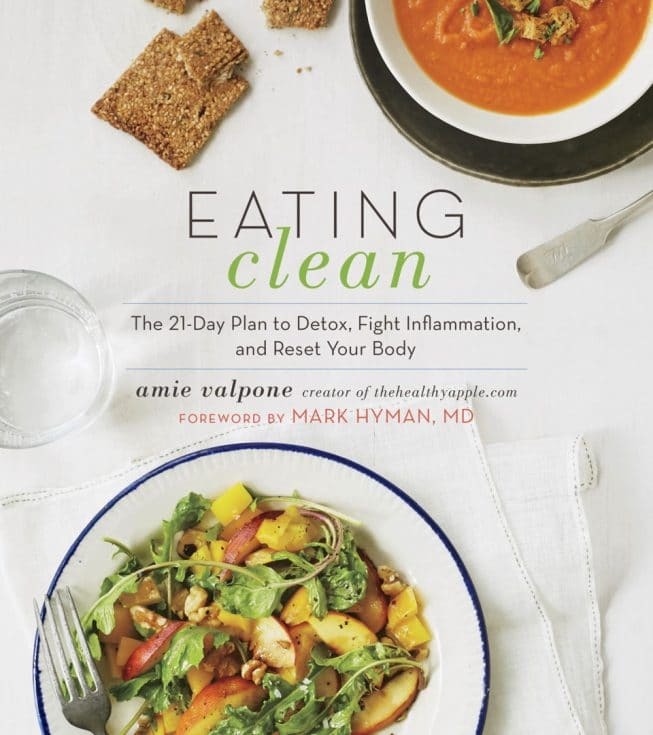 And if you haven’t had a chance to check out my new cookbook, here it is: Eating Clean: The 21-Day Plan to Detox, Fight Inflammation and Reset Your Body! Free of Gluten, Dairy, Soy, Eggs, Corn and Refined Sugar. Vegetarian and Vegan. Preheat the oven to 350 degrees F. Line two rimmed baking sheets with parchment paper; set aside. In a food processor, process the almonds until very finely ground. Add the walnuts and grind until finely ground. Add the mushrooms, cilantro and oil; process until the mixture is very smooth resembling a hummus consistency. Season to taste with salt and pepper. Roll the mixture into small balls and place on the prepared baking sheets. Sprinkle with more sea salt or the red salt. Remove from oven and serve warm with hummus. 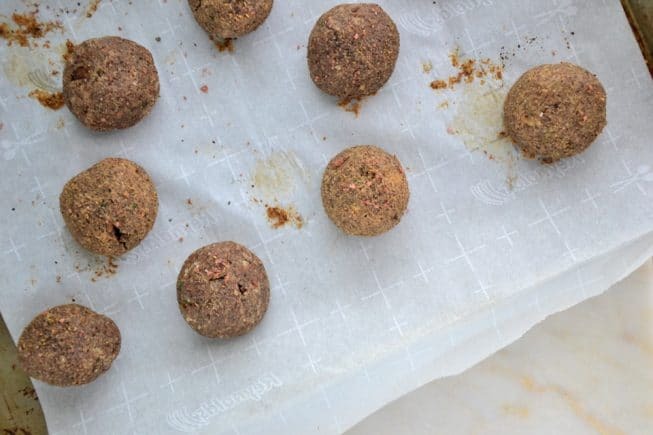 Store leftover balls in a sealed container in the fridge for up to 2 days. Amie, I am so glad I have found your blog. I landed in the hospital earlier this week with C. diff, and woke up this morning feeling a bit better, but intensely hungry and utterly fixated on food down to every cell in my body. It became obvious like a smack on the nose that this new chapter in my own personal Autoimmune Story will actually be a beautiful opportunity, if I choose it to be. 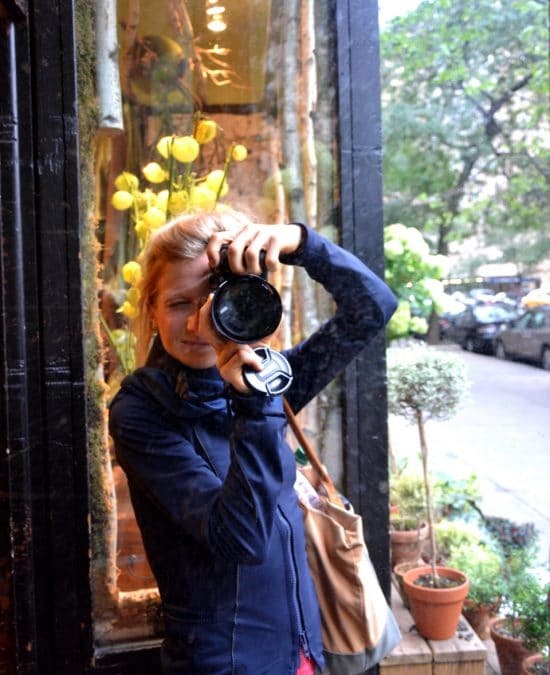 Having no idea what are the right things to expose my tender, but at least cleaned out, digestive tract to, my google search for foods that are healing to the digestive tract quickly brought me to your beautiful blog. As I read your heartfelt posts, I feel so encouraged and understood. Your valiant stance and inspiring words fill me with hope, and I know your beautiful new book (which I have already dived into – it is awesome, congratulations!) will empower me to shop well and make my own kitchen a place of healing. Blessings to you, with gratitude! Hi – I have a hard time keeping nuts in supply as my hubby and growing daughter snack on them daily. Could I sub almond flour for the almonds in this recipe? Thanks so much for your recipes, the pics are beautiful! I made them as an appetizer when our friends came for dinner and they were delicious! I actually mixed walnuts and pecans because I didn’t have enough walnuts and I felt like it still came out great!! Thanks for making this recipe! First time I’ve gotten to enjoy falafels since I can remember! This recipe is a delicious find! Out of curiosity, how many servings is in this recipe? Please disregard my note – I just found it in the recipe…My apologies! 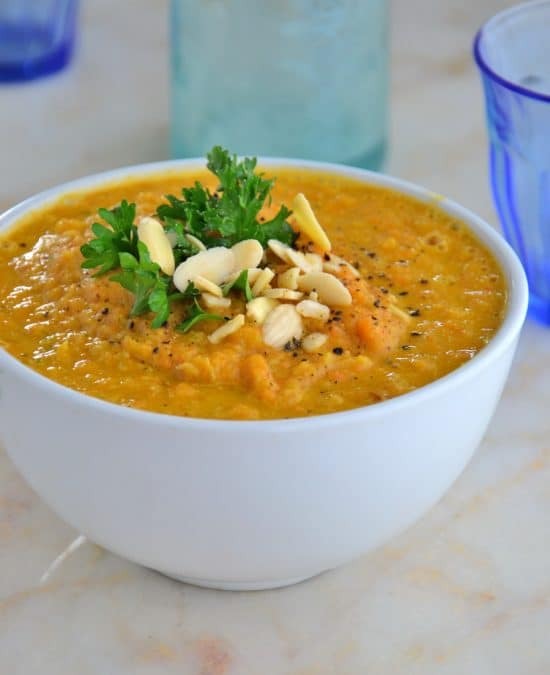 I must say it’s so refreshing to find recipes without legumes. They are so hard on my gut and I’ve struggled finding plant-based alternatives for years. Beautiful recipe! Hope you love it Kendyl; enjoy!